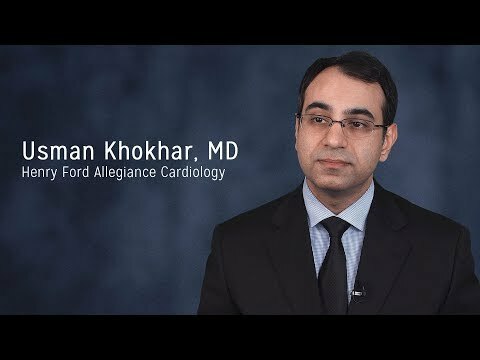 I am a physician board certified in cardiovascular disease, interventional cardiology, vascular medicine, endovascular medicine and nuclear cardiology. I was born with a passion for medicine and have wanted to be a cardiologist for as long as I can remember. My wife is also a physician, and we have a young son. As an interventional cardiologist, I see patients both in the office and in the operating room. When someone comes into the Emergency Department having a heart attack, I perform procedures to open the blocked cardiac artery and restore blood flow, often placing a stent to keep the artery open. I also perform minimally invasive procedures to repair blockages in veins and arteries outside of the heart, especially in the lower extremities. And, I recently trained at Henry Ford Hospital in Detroit to learn a minimally invasive procedure that will allow me to repair a heart valve without the need for open-heart surgery. I love my work and being able to help patients feel better and live longer. I feel very fortunate to work for a health system that has state-of-the-art technology for diagnostics and therapeutics.